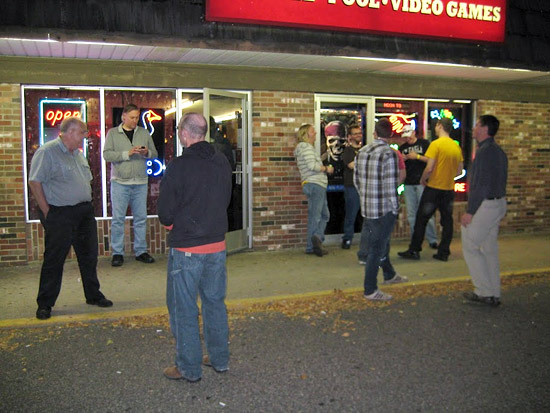 This September 20th 2012, SS Billiards in Hopkins, MN, USA held its 40th anniversary party, Ruby Goose. The party lasted from 12pm until after 12am the next morning. 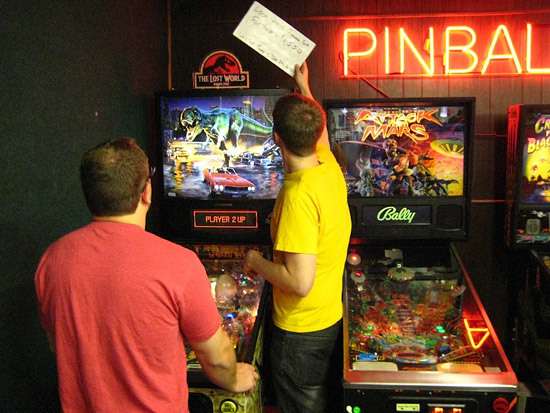 As is always true, owner Lloyd Olson was solely responsible for funding, hosting, organizing and setting up the pinball party. 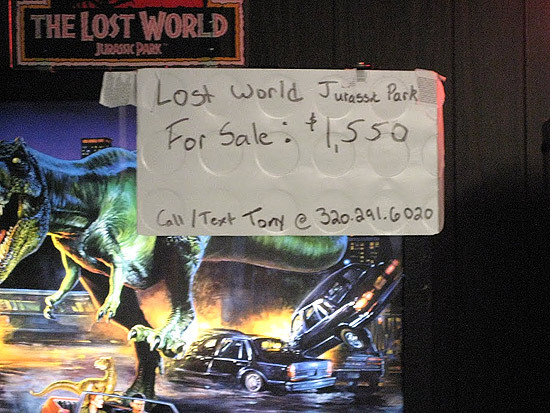 An additional pinball machine was brought in for the celebration, The Lost World - Jurassic Park. Barely visible on the left side of the picture below is a table top all in one video game player. 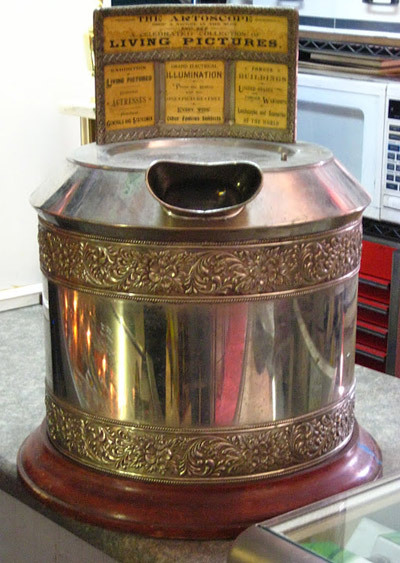 Lloyd brought in a very unusual piece of coin-op history, The Artoscope. In the picture below, you can see the two cakes which were brought in for the occasion. 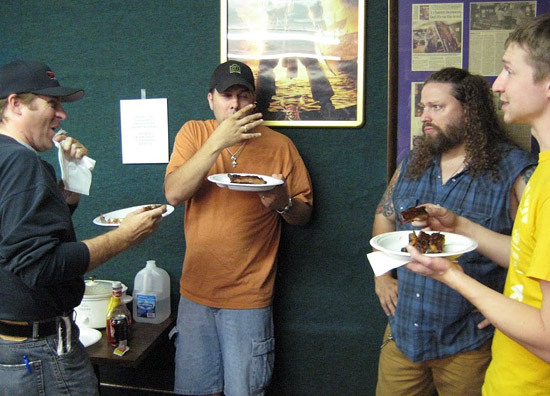 Cake wasn’t the only food available. 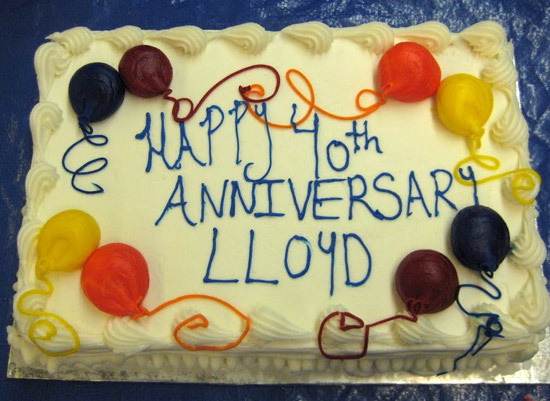 Lloyd provided hot dogs, pizza, pop, ribs, and snack chips. 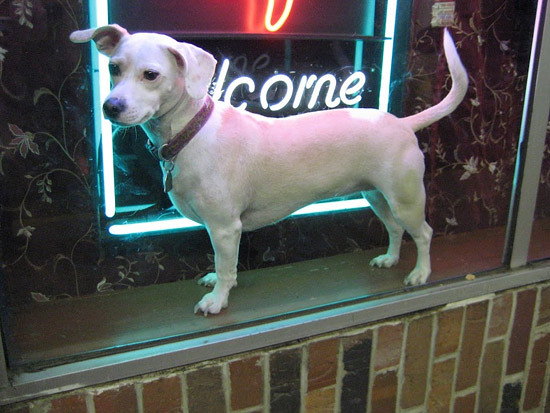 Available all day were: hot dogs, chips, and sodas. Ribs arrived at 7pm. Pizza arrived at 9:50pm and was consumed before I could take a single picture of it. Several others also brought in food to share: an edible arrangement of fruit, bars, chicken sandwiches, chips, cookies, and hamburgers. 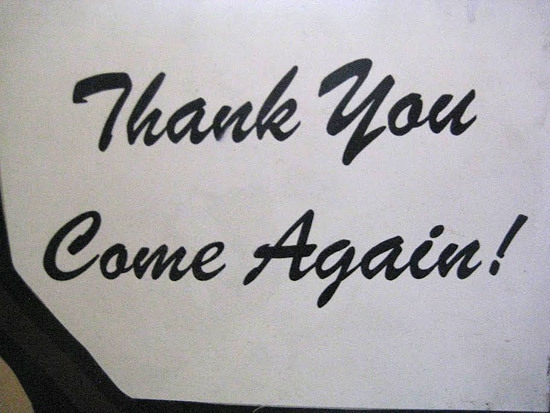 Because this was a customer appreciation party, there were no tickets. 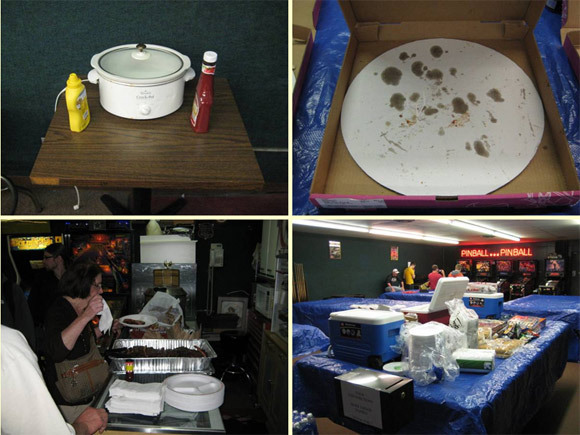 The games were on free play and food was free. Due to lack of funds, there were no door prizes this year. 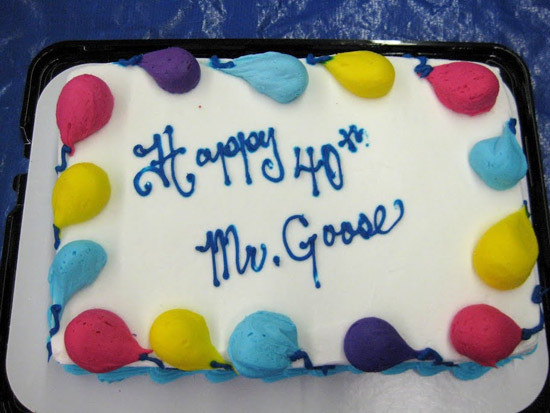 Although, due to lack of funds, Lloyd’s 40th - The Ruby Goose Anniversary Party - had to be scaled down, many people enjoyed the day. 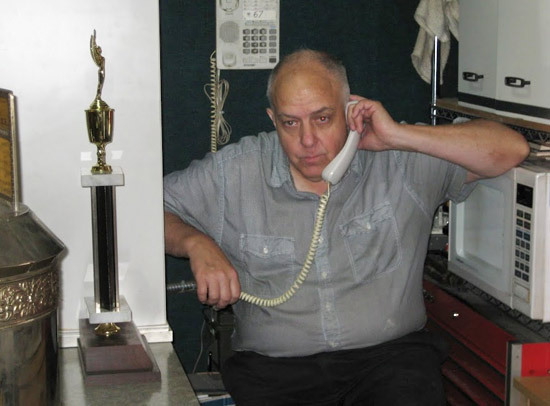 Lloyd held two pinball tournaments. 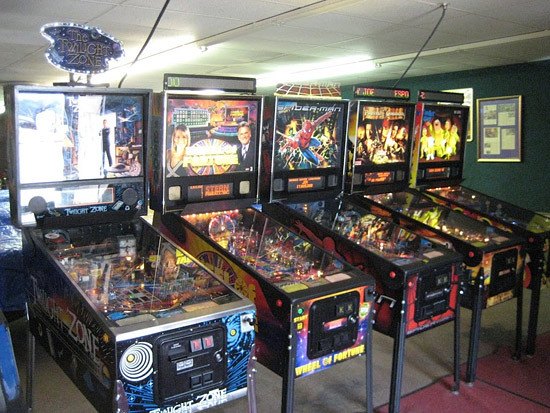 The first to finish was a single elimination pinball tournament. The single elimination tournament ran from 8pm until 11:30pm. The second - a one ball tournament - ran from 12pm until 12am. 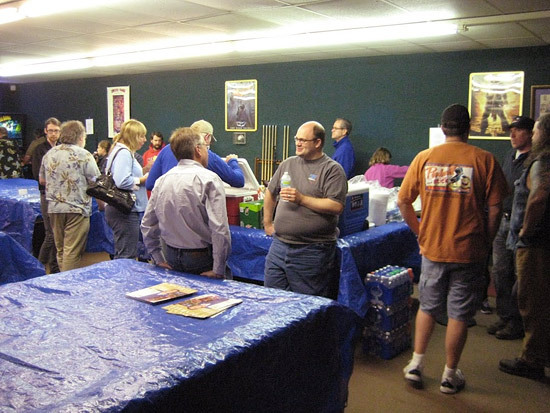 The single elimination tournament was luck of the draw for games; while players decided order. The one ball tournament was normal ToPS style. 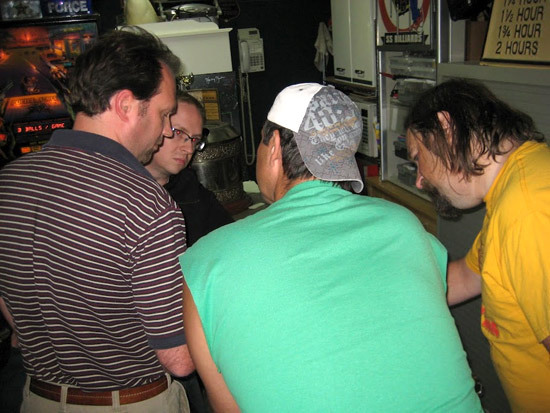 The single elimination pinball tournament was best-two-of-three; from games drawn by Lloyd. 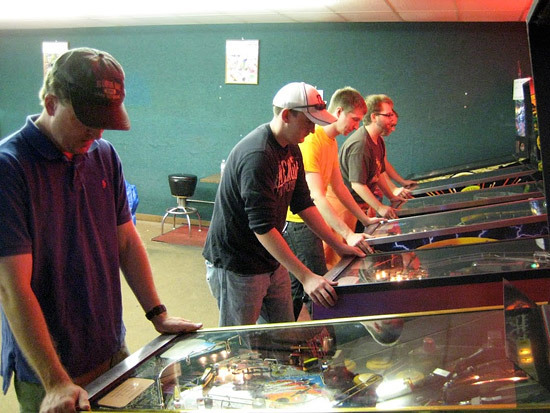 During the first round of the single elimination pinball tournament Lloyd, pictured far left below, went outside to chat with some of his guests. 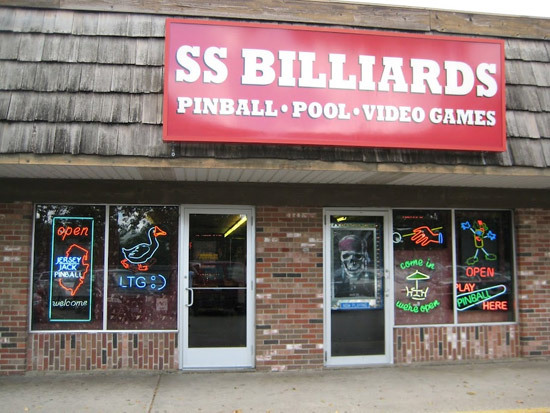 When Lloyd went outside, SS Billiards’ mascot, Prada, kept a sharp eye on him. 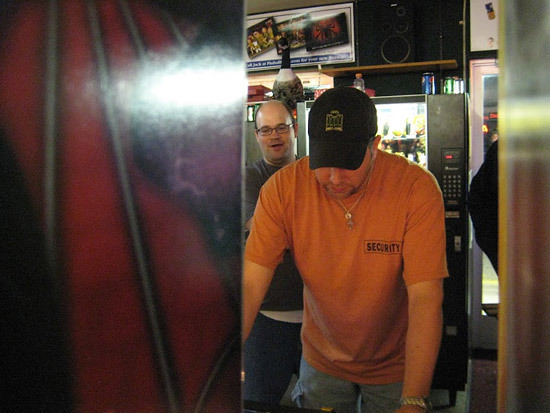 John did not lose a single round in the single elimination pinball tournament. 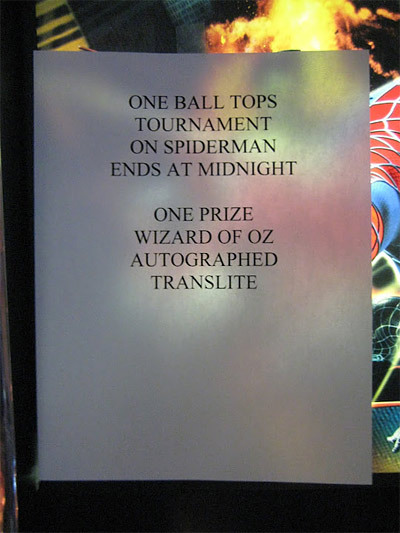 The second tournament was a one-day/one-ball tournament held on Spider-Man. This competitive event started before the single elimination tournament, but ended with the party – at midnight. 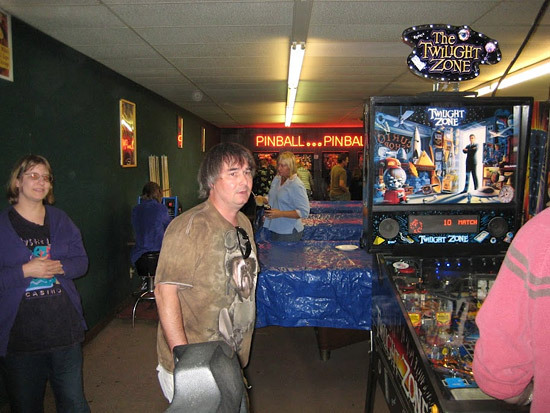 John took almost every opportunity among openings in the single elimination pinball tournament to compete in the one-ball tournament. The one ball Spider-Man ToPS winner was John. 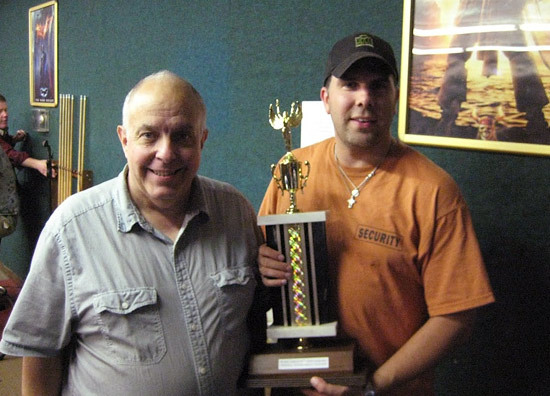 This was John’s second win, making it a clean sweep of the night for him. 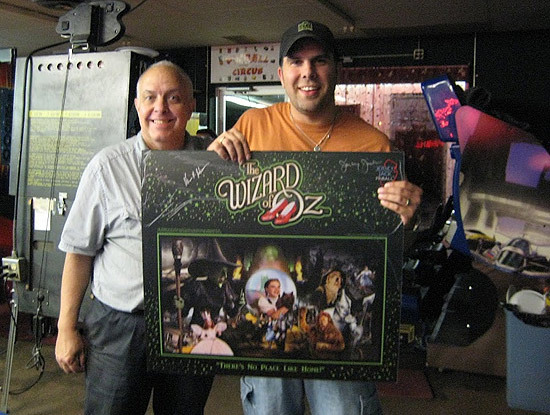 John, two-time winner this year scored both a huge trophy and autographed The Wizard of Oz translite. Lloyd changed the games back to 'normal' play as soon as his arcade quieted down.